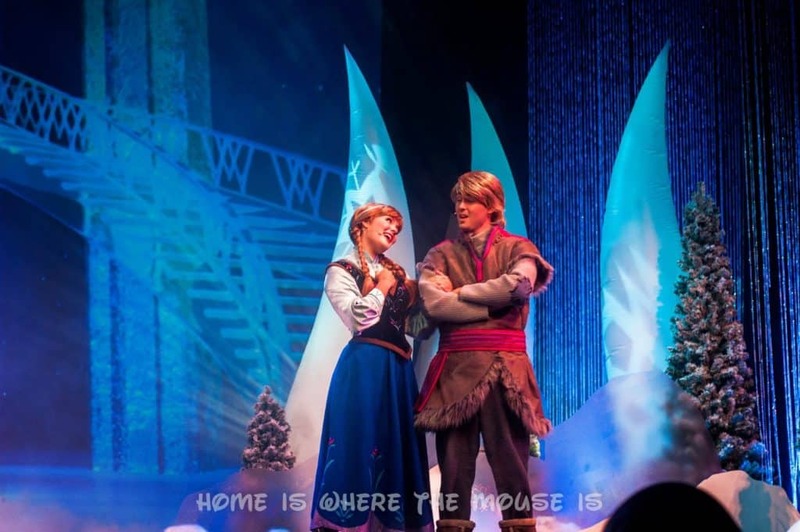 We had the opportunity to see Frozen Summer Fun Live! at Disney’s Hollywood Studios last week. It was an absolute blast and made for the perfect ending to our Disney Trip. 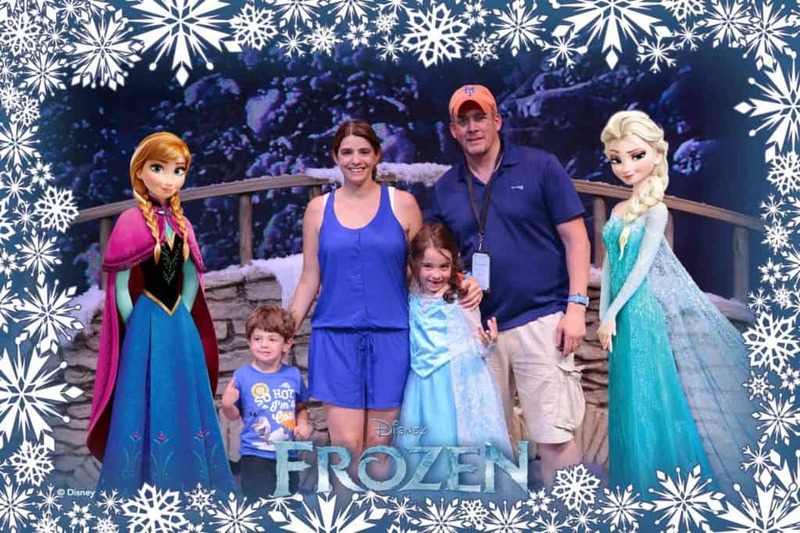 We highly recommend making time for some Frozen Summer Fun if you’ve got a trip planned for this summer! Our trip had us checking out and relocating to Disney’s Vero Beach Resort on the very day that Frozen Fun Summer Live! began (It runs now through September 1, 2014). 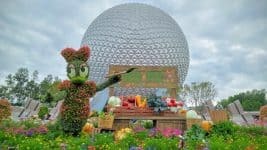 We decided to tack a day on to the end of our trip and return to WDW to check this out. We’re so glad we did. We also booked the Premium Package (at an added cost), so we can give you the scoop on all that entails. At the park entrance and at other stations around the park, Cast Members were handing out cute “Take-Along Olafs”. Not only were these great souvenirs, but they were also interactive. 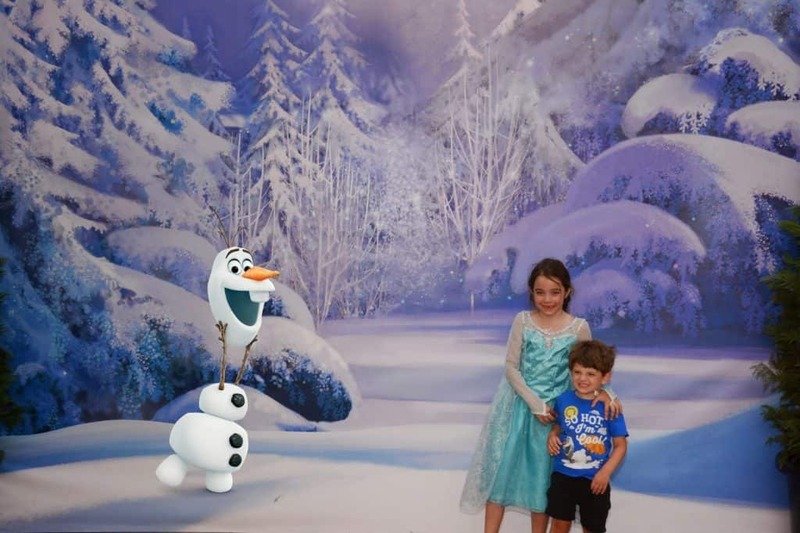 Guests were encouraged to snap photos of their Olafs having summer fun and share them on social media using the hashtag: #olafsummervacation. 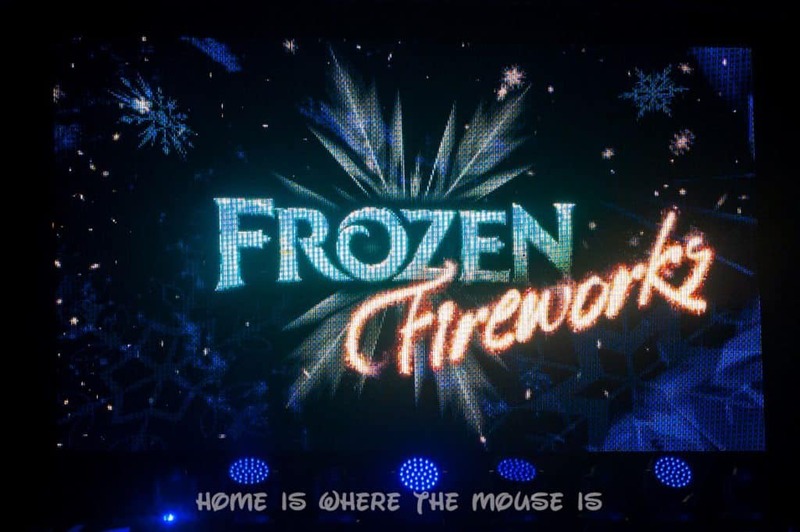 Each night, a selection of pictures would become part of the Frozen Fireworks Spectacular. 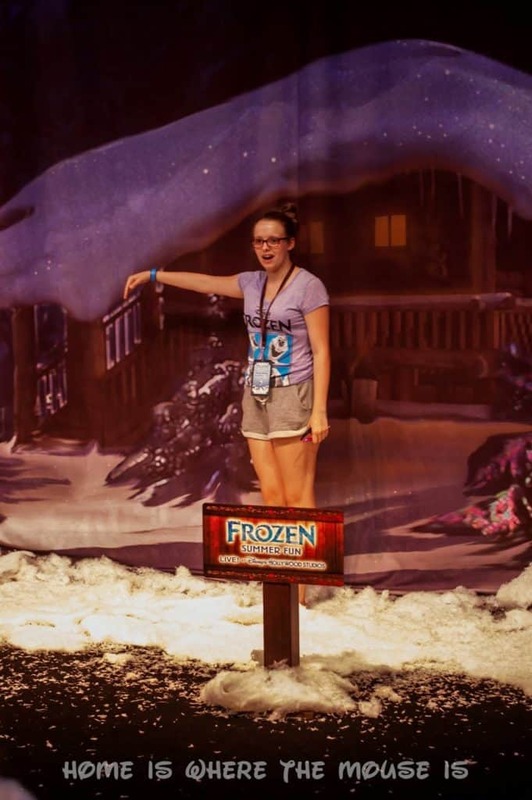 We took several pictures with our Olaf, but only so many can be chosen to be part of the show, and sadly, ours did not make it. Line up along Hollywood Boulevard to see Anna and Elsa’s Royal Procession as they make their way in a horse-drawn carriage up to the Sorcerer’s Hat Stage to be officially welcomed to Hollywoodland. Complete with Skiers, skaters, and Kristoff and his fellow Ice Men. There’s even snow falling! 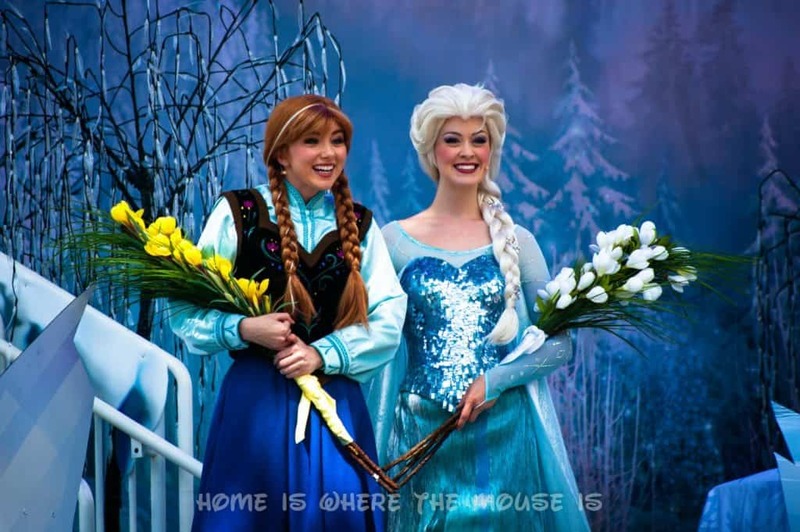 Then at the stage, Anna and Elsa are welcomed to Hollywoodland and presented with flowers, and all guests are invited to sing a certain song in their honor. 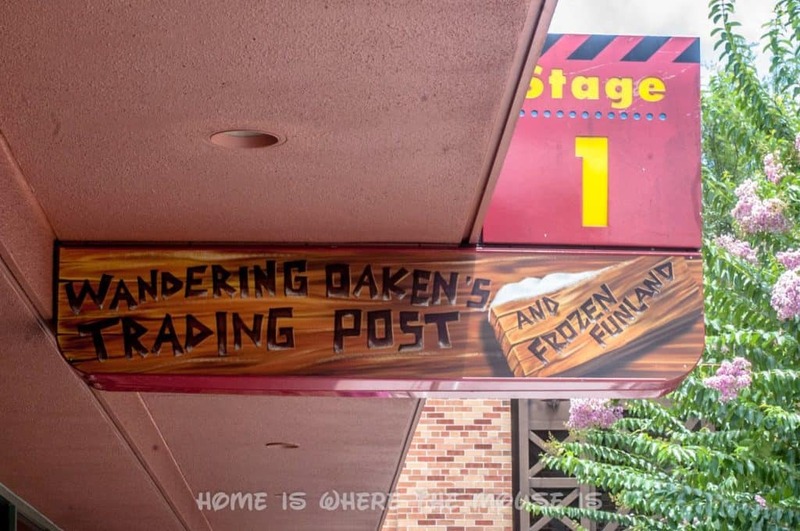 Wandering Oaken has moved his Big Summer Blowout to Stage 1 with loads of Frozen merchandise and treats! He’s replaced the sauna with a Frozen Funland right next door. 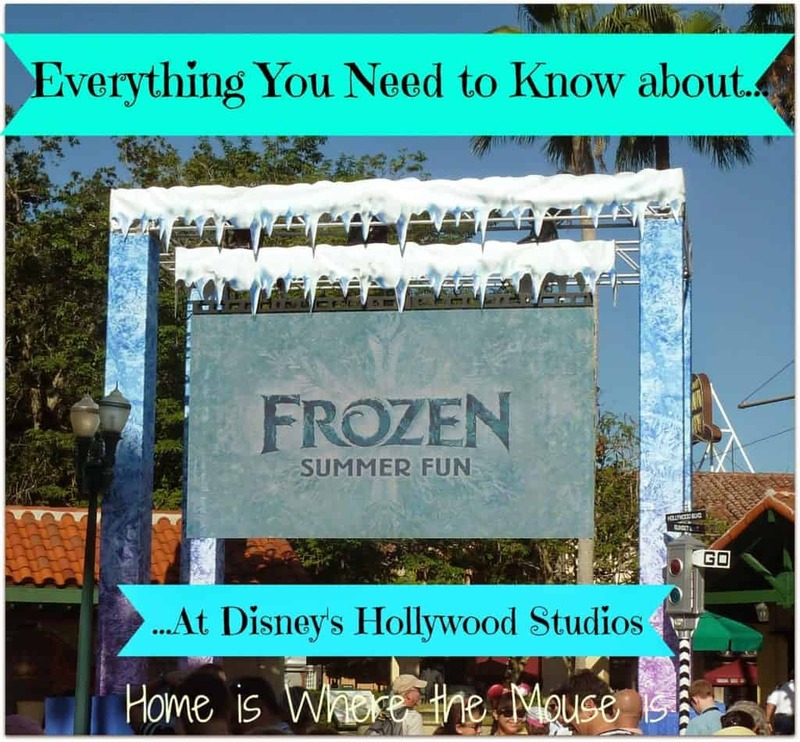 Building a snowman in the middle of summer in Florida? 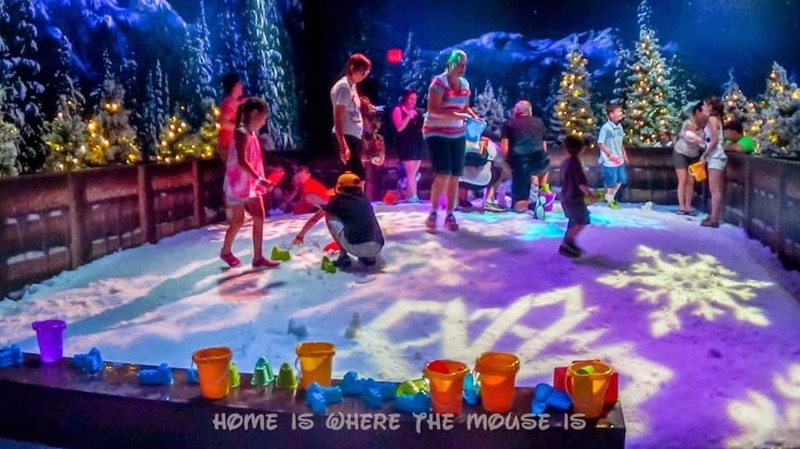 Disney makes it possible in Oaken’s Frozen Funland play “snow”ground. 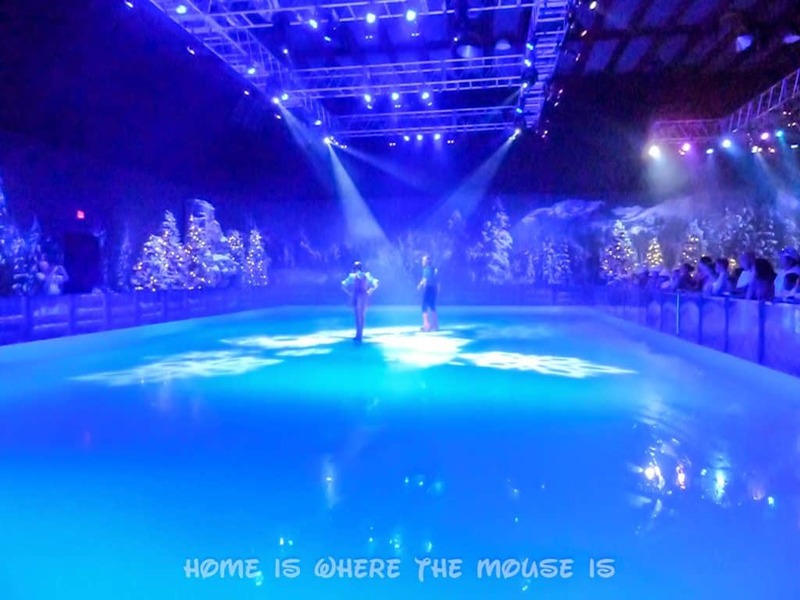 There’s also an ice skating rink! We happened to be there when Oaken’s cousins took to the ice to show off some of their moves. Guests can take their turn on the ice for an added costs ($10 per person for a 30 minute session). 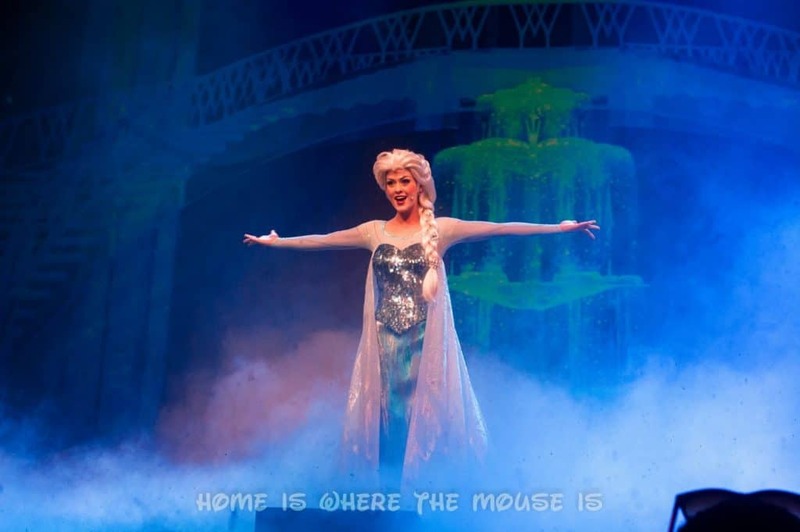 This 20-minute show combines live performers on stage with movie clips and special effects to retell the story of “Frozen”. 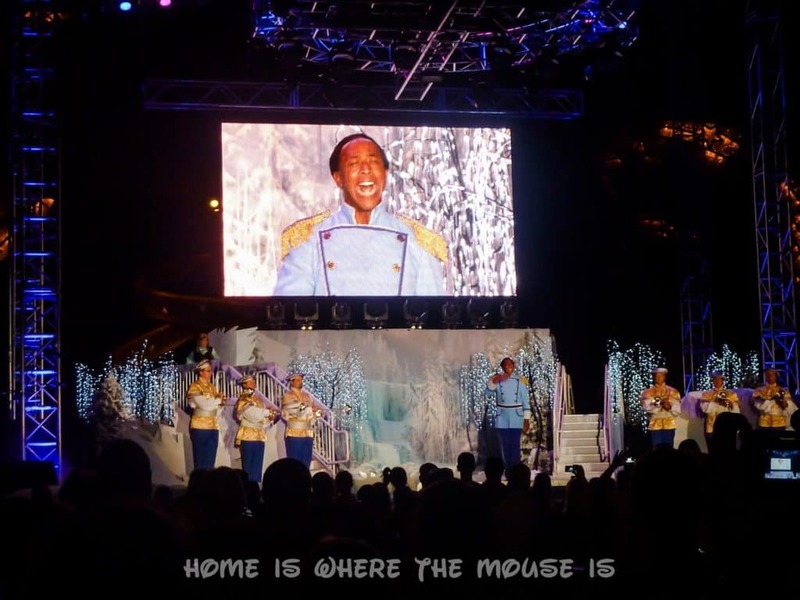 Many of the songs (but not all) are highlighted and guests are invited to sing-along. We loved this experience. 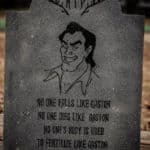 It was 100 times better than going to the sing-along version of the movie at our local theater. 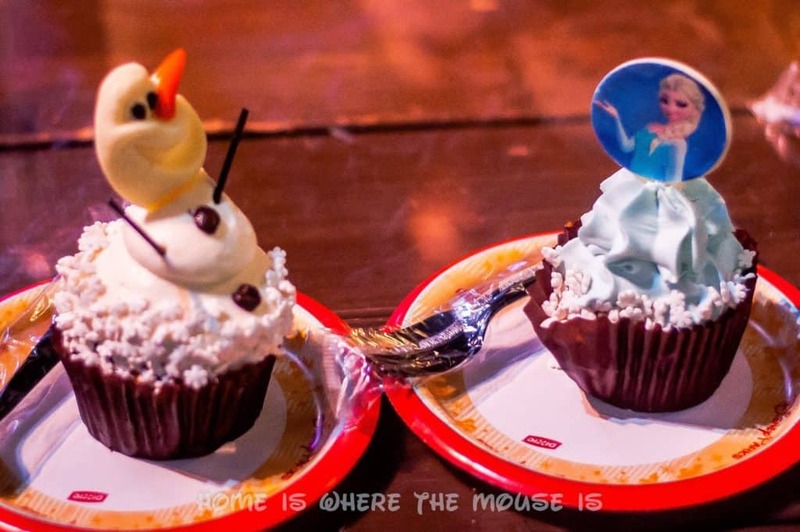 Throughout the park, we saw lots of Frozen-inspired treats. Cupcakes, cookies, and more. We sampled as we went along, but there was no way we could try them all! There were also alcoholic drinks like the Summer Berry Margarita and non-alcoholic drinks like “Let it Glow” punch. 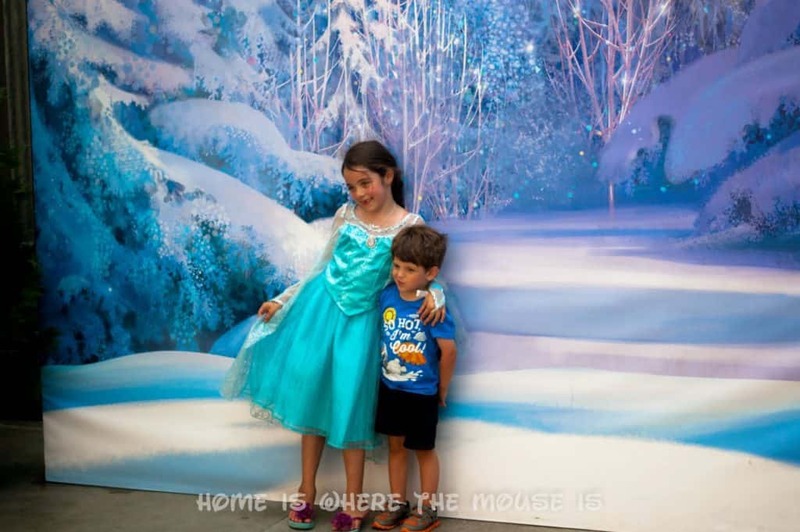 Also scattered throughout the park were several photo opportunities where you could get “Magic Shots” taken by a Disney PhotoPass Photographer in front of a Frozen backdrop. 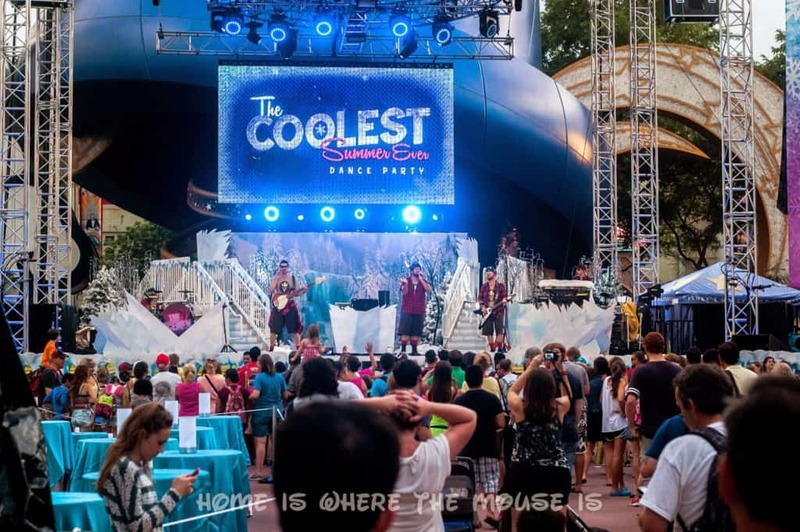 From 5:30-9:30, the “Coolest Summer Ever” Dance Party takes place at the Sorcerer Hat Stage. Featuring both a DJ and rock n roll sets by “The Icemen of the North” (aka Mulch, Sweat and Shears). It’s got something for everyone. 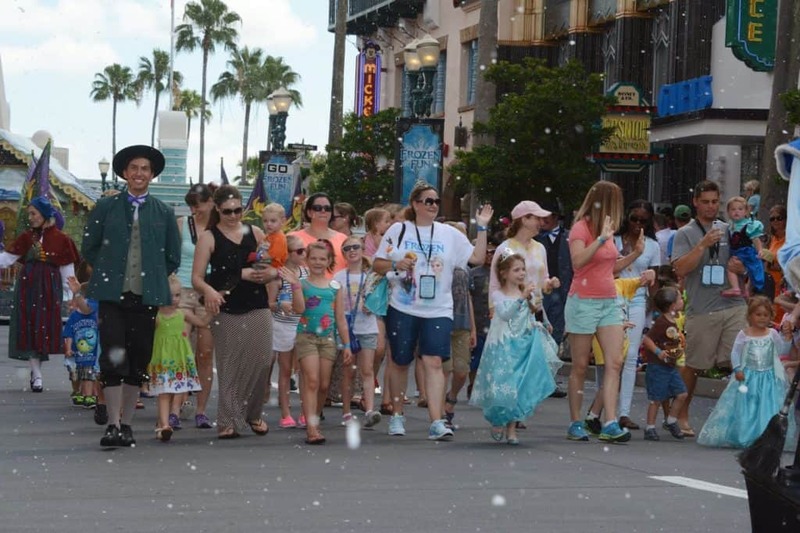 Weather permitting, some Disney characters even join in the fun! 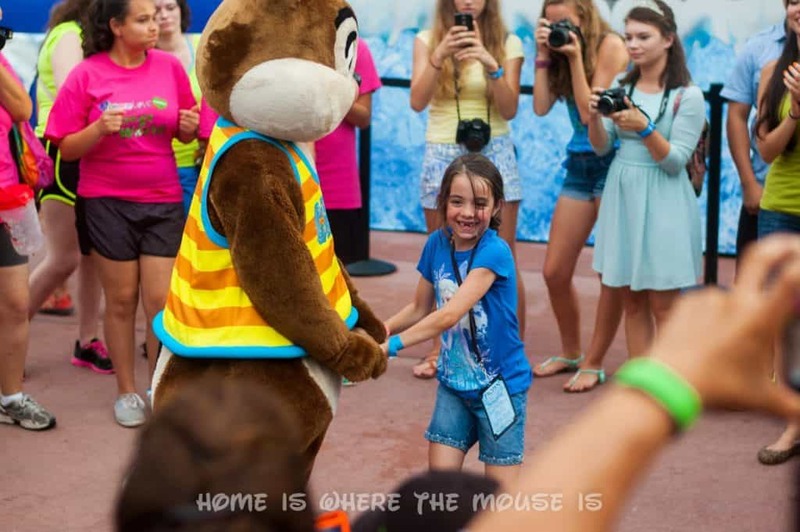 Bella had a lot of fun dancing with Chip, Dale, Pluto, Goofy, Donald, Daisy, and of course, Mickey and Minnie! At 9:45pm, you can cap off your day of Frozen Summer Fun with the Frozen Fireworks Spectacular lighting up the sky above the Sorcerer Hat. 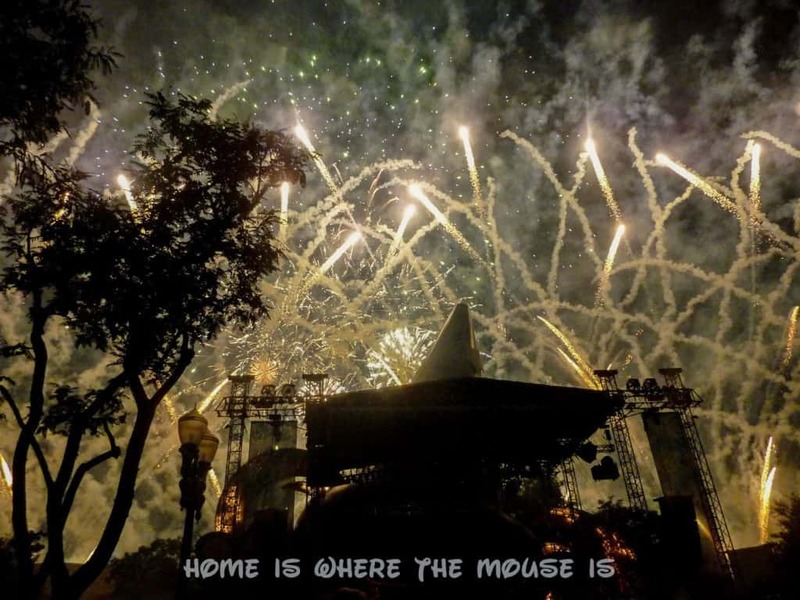 There is a stage show that goes along with it, making it a very unique experience from Disney’s other fireworks displays. 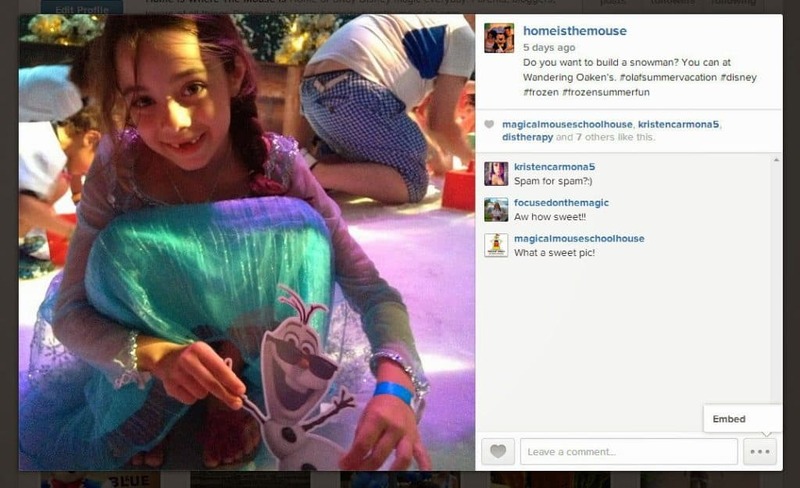 We thought it was really good, especially if you’re a Frozen fan. The Premium Package is available as an added cost separate from your park admission. It costs $59 per adult, and $34 per child (tax and gratuity included). Reserved viewing area for Anna and Elsa’s Royal Welcome, with beverages and ice cream. The added cost may or may not be worth it for you or your family. 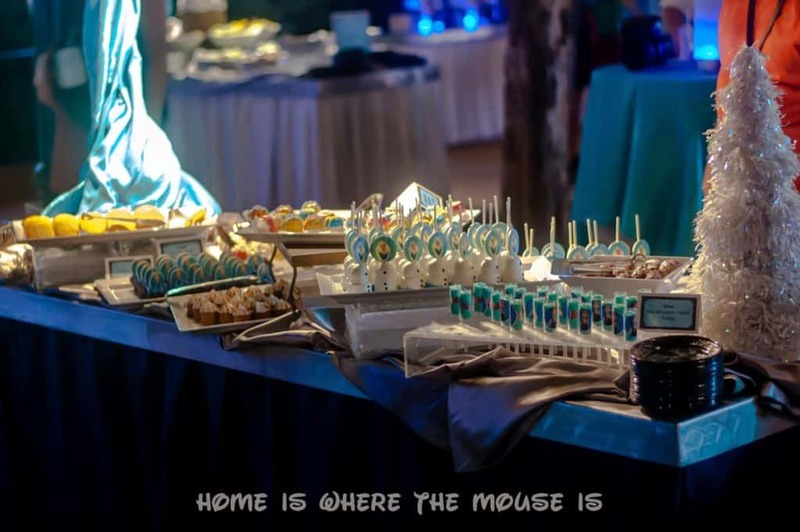 To be honest, we were questioning whether we got our money’s worth up until the dessert party. It was fantastic! In our opinion, that is what made the Premium Package worth it. now through September 1, 2014! 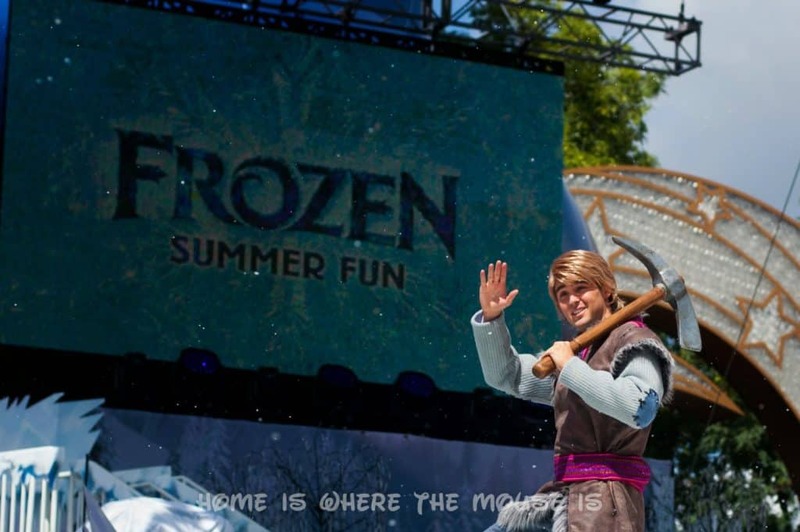 We hope you enjoyed our overview of Frozen Summer Live! at Disney’s Hollywood Studios! Stay tuned as we add more pictures and video of each event! Oh my goodness! 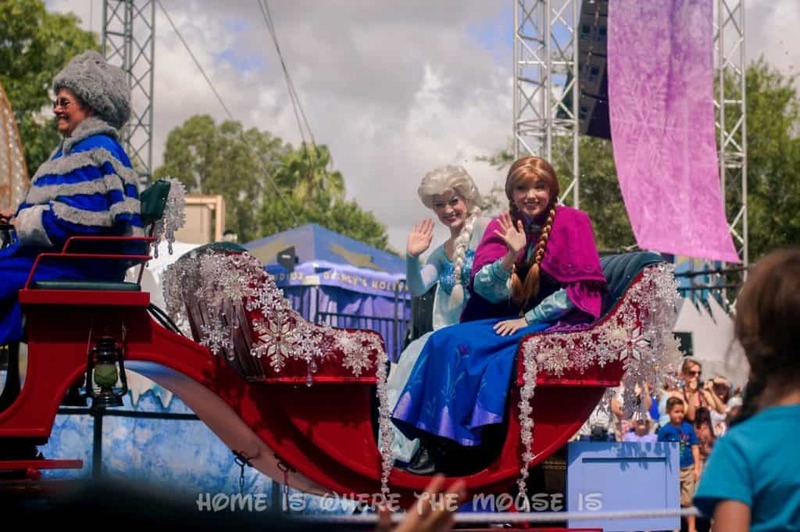 When I first heard about this I thought "just what Disney needs – another extra expense event." But, now that I see this post, I think it looks like a lot of fun, and I'd probably get suckered into it if I were going this summer. Thanks for sharing this detailed post! Thanks, Heidi. 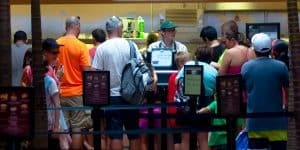 It seems like Disney is adding quite a few "added value" experiences lately. 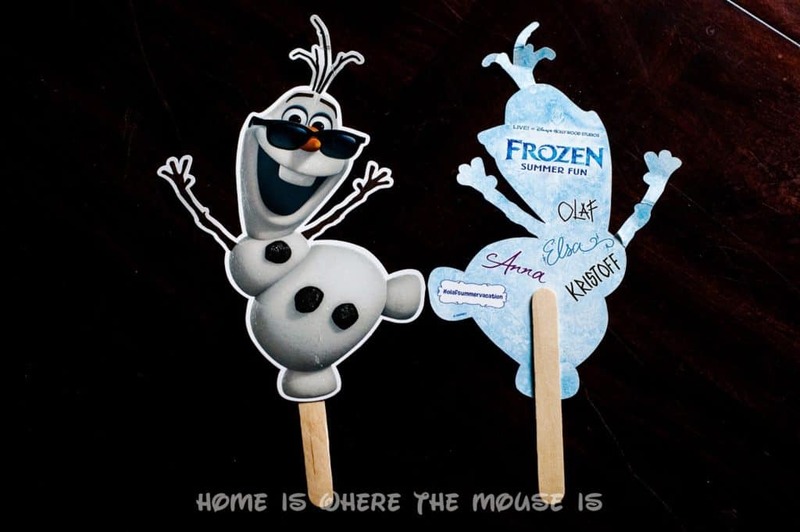 At least most of the Frozen Summer Fun doesn't come at an extra cost. Hi Rachel, thanks for your question. No, she didn't get hot. The dress has mesh arms that let air through. We were also inside most of the day at Wandering Oaken's and the Sing Along. I did bring an outfit just in case which we did have to use because the dress got ripped while ice skating (ugh). I got a shopping bag from the gift shop to put the dress in and it fit nicely. When it comes to princess dresses, I always bring an extra outfit as a backup. You never know. Hope you have a great time!